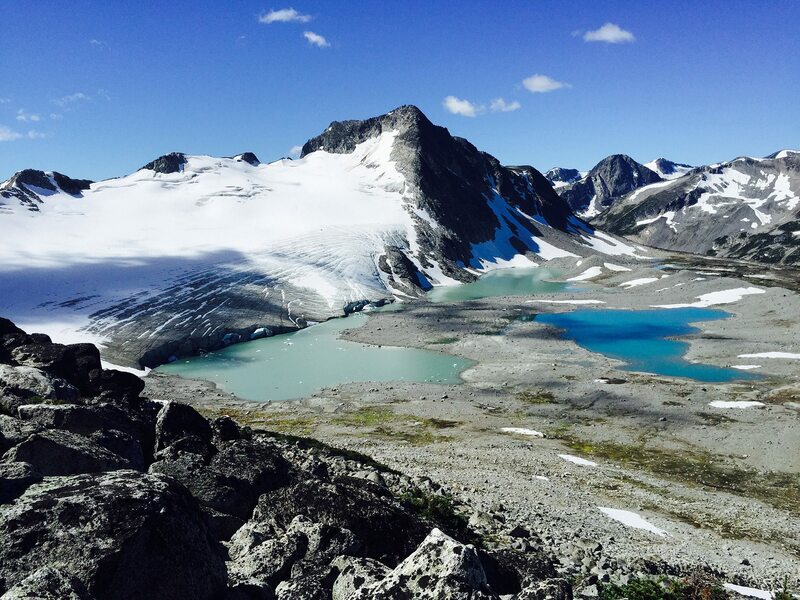 Guided hiking trips in wild British Columbia with Yoho Adventures will take you to hard-to-access wilderness areas in the West Chilcotin and the Coast Mountains. These are the best hiking vacations in Canada. Fly-in wilderness tours let you glimpse what few have seen, and even fewer have experienced. Exploring the hidden beauty of unknown wilderness is often daunting yet exciting. Finding the right people to take you where few have gone before is a challenge all its own. Adventure travel companies are everywhere these days. Many offer fabulous experiences with their own flare of personal touch touting exclusive hiking tours in Canada. However, most of these are in well-known areas such as The Canadian Rockies amongst hoards of tourists. Yoho Adventures will take you on an unforgettable trip where few have gone before. Here you will experience the pristine beauty of nature as few have seen it. There’s so much unexplored wilderness in British Columbia waiting for hikers to experience. Guided hiking trips with Yoho Adventures will get you there and back again with incredible stories to share. As humans, we are wired to follow the masses. That entails going to places you’ve heard of previously and ticking the list of popular destinations. But times are a changing and people are looking for the path less traveled. In fact, there are no paths where Yoho Adventures goes, and our hikers love it. Being a smaller company allows us to take people to places that are hard to access, and that’s our specialty. It may take a bit of convincing for the average joe. When our guests board a float plane, fly over mighty ice fields and land on an alpine lake in the middle of nowhere, that is when the adventure truly begins. Guided hiking trips in the wilderness are the best and safest way to explore. Hiking and trekking in remote wilderness areas only accessible in season is a hallmark of our adventure travel. 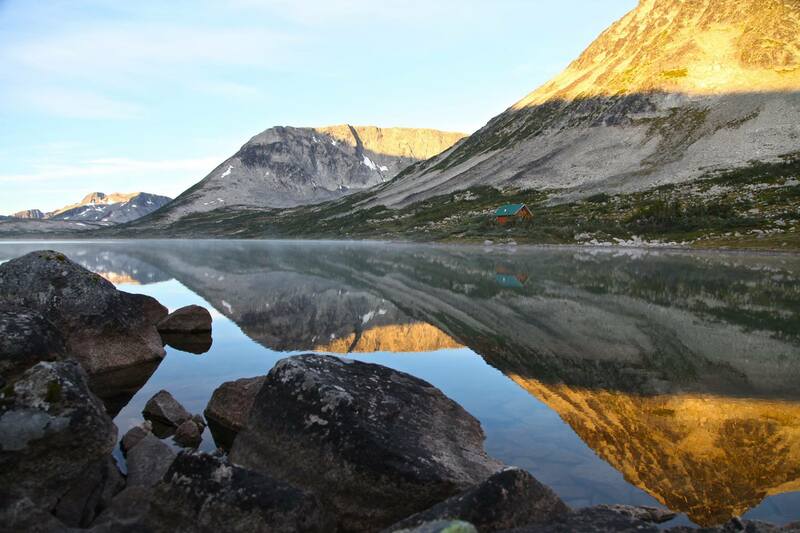 On our guided hiking tours Canada, we take people to experience some of the best hikes in BC. These are amazing and memorable because the routes are there for you and the group — no one else. This is true solitude. It is raw and untamed. You will never have to fight for a unique selfie. Your photos will resonate with the inspiring wilds that surround you. The views are literally breathtaking. Canadian hiking can be intimidating for most people coming from overseas. This is especially true if they have not had the experience of being far from civilization. Seeing your first live bear in the wilderness can even be a tad scary. We have considered this. As a result, we time our hikes to a season deemed safe in many ways. 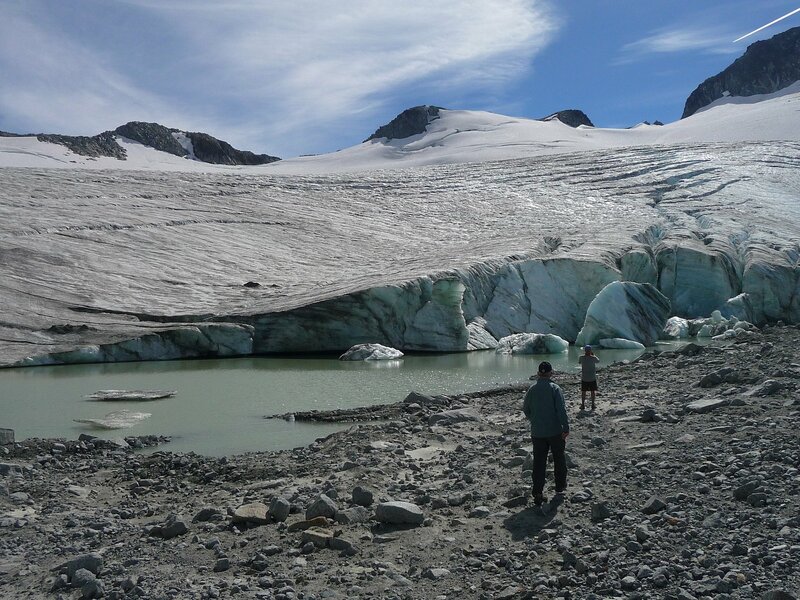 Our guided hiking tours in British Columbia take place when the lakes are no longer frozen. We go when the bugs have died and most bears have moved to lower elevations for the autumn salmon runs. It’s the ideal time to explore the alpine wilderness. And, of course, it is always better to be out in these wilds with a fellow hiker to share it. Yoho guides make it a smooth transition into unchartered territories. They ensure you have the right gear for guided hiking trips. They know the wilderness area and what to expect in remote wilds. All it takes is trust in your gut to take that first step into the wilds. This is easier to do in the safety of professional wilderness guides on our guided hiking trips. Explore wilderness areas with knowledgeable guides who teach you hiking and survival skills. It is often said that no one ever truly learns until they step outside their comfort zone. In our world, the comfort zone is a groomed trail. Taking a step away from the trails or tracks allows for a deeper connection to the environment and your senses. With Yoho, you will learn to read the wind, the formation of clouds, and bend in the stream. Having to rely on your brain to visually connect to the landscape is something people seldom do. There’s nothing wrong with sticking to trails, but venturing off them into the unknown is an enlivening and unique experience. Your best hiking vacation awaits when you explore beyond the boundaries. Discover the depths of what Canada is about. On Yoho’s guided hiking trips you will see the significance of British Columbia and its abundant pristine backcountry wilderness. Beyond the boundaries and into the depths of what British Columbia’s great outdoors signifies. This is backcountry wilderness. Hard to access wilderness is more logistical than you think. You could hire a helicopter or float plane to get you into the remote wilds, but then what? Are you getting the most out of your terrain for visual pleasure or are you still below the bush line? After spending many of years planning our exciting remote wilderness adventures, the Yoho team knows what people are seeking. Our guided hiking trips are planned to adapt challenges to the individual’s capabilities. Our trips also maximize visual stimulation along the way with a vista that will take your breath away. We’ve endured the bushwalking to find the most beautiful hiking terrain around, and leave behind the lower elevation frustrations. Guided hiking trips like ours offer people the best chance to experience the wilds. Our packaged adventure holiday in Canada includes amazing cuisine, fresh coffee, and good laughs. This is the experience of a lifetime — one of the best hiking vacations you could experience. Best hiking vacations include challenge as well as inspiring visual landscapes to ignite senses and expand mind and soul. Gourmet wilderness meals provide healthful, power-packed fuel. Day hiking is an excellent way to explore an area while enjoying the comfort of a backcountry cabin as base. From this location, we take day trips that allow our groups to connect with the surrounding wilderness. These day trips allow you to explore the surrounding terrain including its challenges and rewards. You will revisit and trek through it from different angles and vistas. This is a great way to experience memorable hiking tours Canada by spending a few days in one area before moving on to the next one. After all, you are on a hiking vacation. That doesn’t mean you can’t stop and take in the views and stay a while. Being immersed from a backcountry cabin base, where the fading day and rising sun cast their moods, provides a unique perspective to appreciate the wilderness while yet enjoying some creature comforts and healthful rest. Connecting with the surrounding terrain means enjoying its rewarding challenges along with savoring the serenity and peace of solitude in a remote environment. Hikers from around the globe have spoken. They love the difference in exploring places that are not yet marked on the bucket list. Why not make your own bucket list and include venturing to a place that few have been before. Embracing the pristine wilds often means a bit more research and challenge. 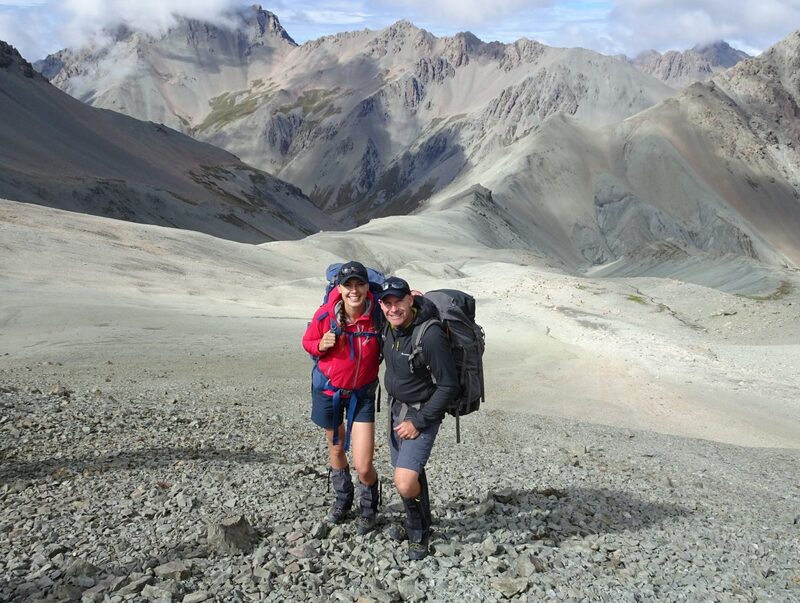 Guided hiking trips with Yoho Adventures puts you in good company to experience your best hiking vacation ever. This is one of the most breathtaking areas of the great British Columbia wilds. Your best hiking vacation in British Columbia awaits. Our guided hiking trips will take you into hard-to-access wilderness areas of the West Chilcotin Coast Mountains. To experience one of Yoho Adventures hiking vacations, contact the Yoho Adventures team. Get details today about how you can join the Yohos off the trails and venture into the wilds with comfort and safety.